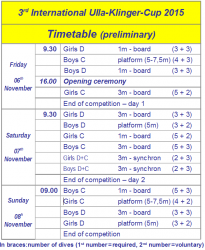 The preliminary timetable for the 3rd Ulla-Klinger-Cup. 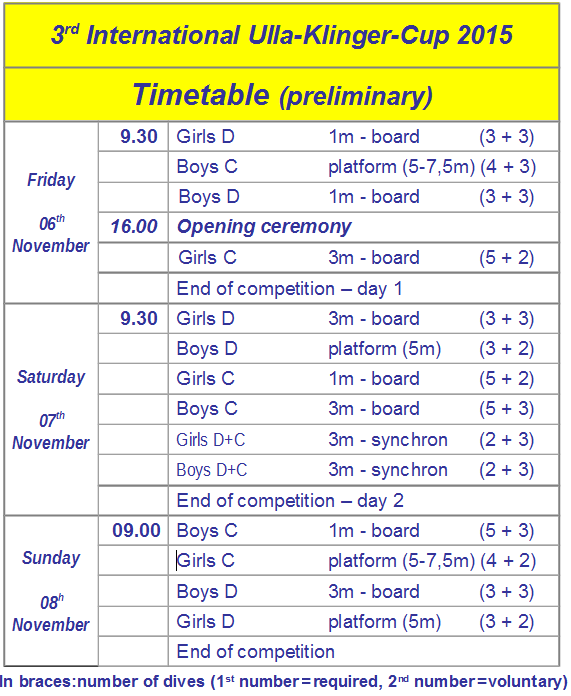 This is the preliminary timetable for the cup. The start times of the competitions have not yet been fionalized, since we are still missing some diver data. But we will update this plan as soon as we gathered all data necessary.